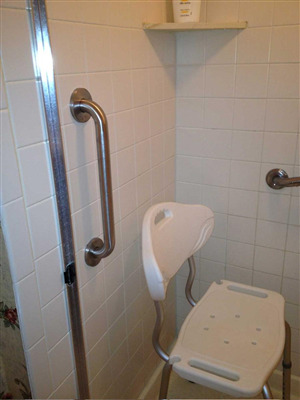 The idea of universal design is all about offering quick and easy access to every part of your home. It builds in the flexibility to accommodate users in any state of health or physical mobility. 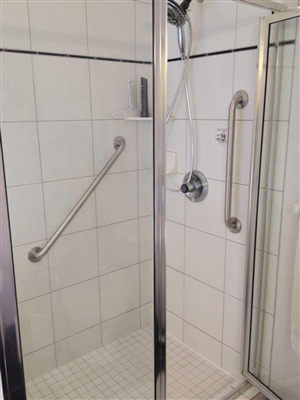 Whatever the current age and level of ability of your household members may be, a shower designed for safety and comfort, as well as style, is sure to be appreciated. And if you already have mobility issues, or if you plan on aging in place, a safe universal shower installation is an absolute necessity. Here are 12 shower safety features to consider. 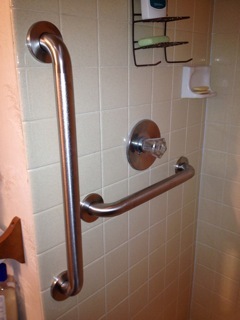 For the purpose of installing the shower grab bar, I am going to focus on bar No. 2 from above. This is the angled shower bar located along the sidewall or long back wall of the shower.